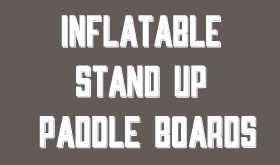 When the Surf is Flat…We SUP! 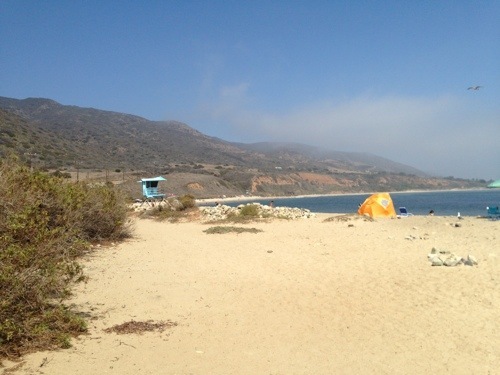 Last week I (Lindsay) went camping with my family out at Leo Carrillo State Beach in Malibu, CA. Leo Carrillo lies north of Zuma Beach and just south of County Line at the borders of Los Angeles and Ventura county. The surf was flat all week. We are talking head high…to a seagull. It was miniscule. I don’t think I’ve ever seen Leo Carrillo that small. Well, what do we do when the surf is flat? 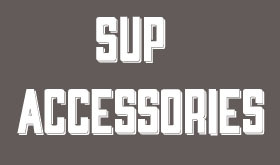 We SUP! 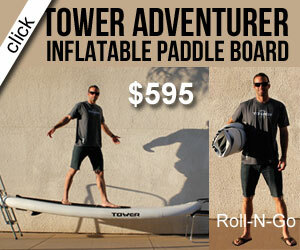 I took out my 9’6” Surf Diva Focus SUP out on the water for a paddle. I even got my 5 year old niece to come onboard and take a spin. She sat on the front of the board and enjoyed exploring and looking out at the ocean. The water was calm and as smooth as glass. Perfect for introducing a 5 year old into the water. 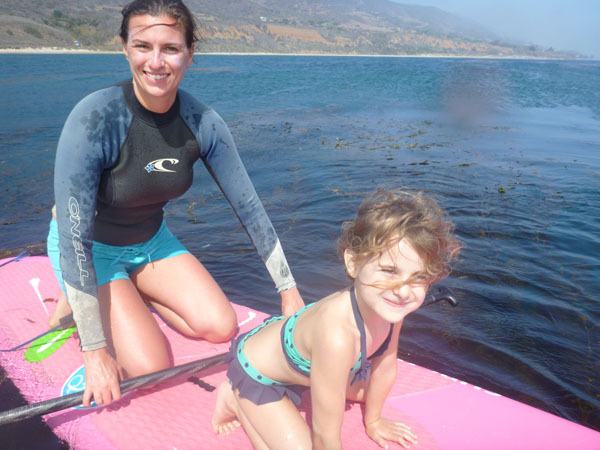 We then took our 10 year old cousin out on “Pinky,” my pink paddleboard and she loved it just as much. It’s pretty great to pass the stoke and introduce the girls to the water at such a young age. I can’t imagine doing anything like that at 5 years old. What an amazing experience. I hope she remembers it as well as I do! After we took the paddle boards for a spin, I tried catching a wave in the ankle high lineup only to be told that Stand Up Paddle Boarders aren’t allowed in the lineup at Leo Carrillo. As much of a bummer as it was, I respect that decision. Leo Carrillo is a point break that breaks off a rock and it can get pretty competitive right there at the point. I imagine there’d be a lot more fights and accidents in the water if surfers and surf SUPers were out there on a big swell day. For us we had a great time paddling around on the SUP, got a great workout, and helped introduce our youth to the awesomeness that is stand up paddle boarding. Looking back on it, we probably should have had her wear a life vest. But there is always next time.